Posted on February 24, 2019 at 1:03 pm. Do you know someone special who coached a Crestwood sports team or played an important role in Crestwood sports? We have had a number of requests over the years requesting recognition for past and current individuals who made a big impact in Crestwood sports. Therefore, we have decided to create a Hall of Fame Wall in our Hockey Change Room to celebrate these dedicated individuals. To nominate an individual please provide Crestwood Community Board with a written submission outlining the reason for the nomination and their contributions to Crestwood. You can send your submissions to President@cclboard.ca and they will be reviewed by the Board. If your nomination is accepted you will be asked to put together a plaque/framed item with a photograph and details outlining the accomplishments. We ask that you make this item no larger than 11×14. This will be at your own expense. This is ongoing, with no current expiry date. Posted on January 11, 2019 at 4:19 pm. Crestwood Community Board is searching for a volunteer who would like to Project Manage Phase 3 of our Redevelopment Project. Phase’s 1 & 2 have been completed and much of the needed money to complete Phase 3 has been raised. Your role would be to determine the scope of the project and roll the project out to completion, while working in consultation with the Board. Posted on December 4, 2018 at 9:52 pm. Posted on November 19, 2018 at 9:46 pm. Posted on November 12, 2018 at 10:58 am. Posted on November 12, 2018 at 9:56 am. Candy Cane Lane Turns 50! Posted on November 4, 2018 at 10:16 am. 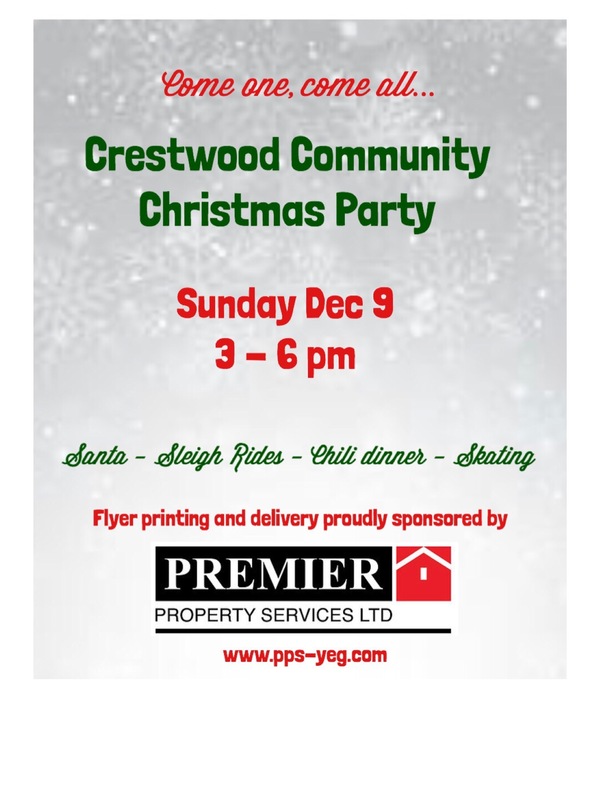 🎄The YEG Candy Cane Lane Committee would like to invite the residents of Crestwood Community to YEG Candy Cane Lanes opening night celebrating for our 50th season! 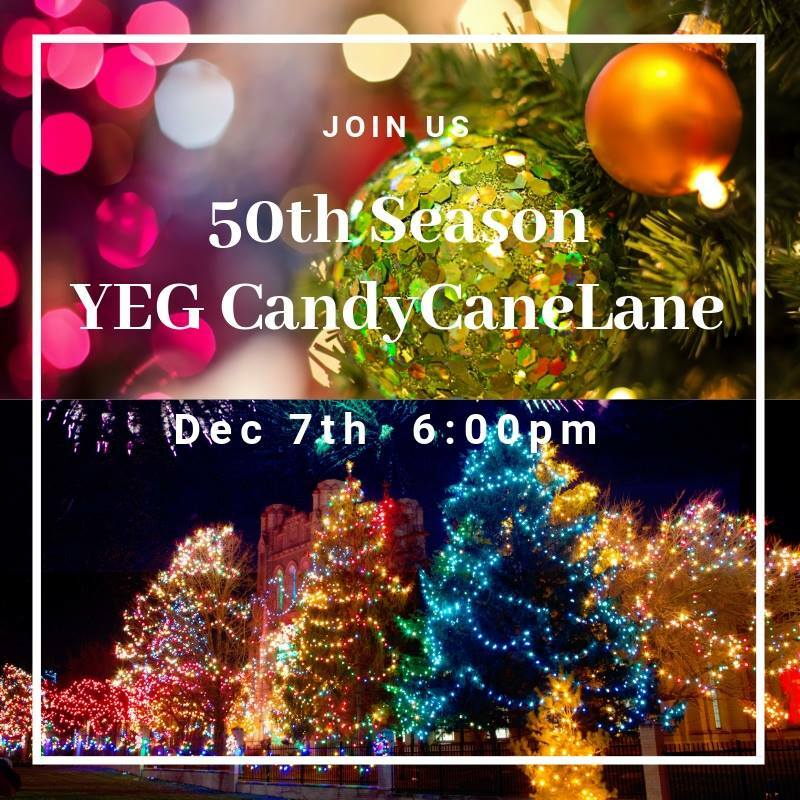 🎅We would love for you to be our guest on the evening of Dec 7, 2018 for ribbon cutting and sending off the sleighs to celebrate YEG Candy Cane Lane’s 50th year season. We will send off the first sleigh from 99 Ave and 148 St (Isabelle Connelly Park). Please stay and visit with friends and neighbors while taking in the festivities around the fire pits. ☃️The first sleigh is scheduled to leave at 6pm, with festivities starting just prior. Posted on August 30, 2018 at 10:16 am. Tot Time resumes September 19, 2018. Every Wednesday, 9:30-11:30. We have a new Tot Time Coordinator! Please come out and say hi to Bethia Faragini and ask her about the exciting new ideas she has for Tot Time! Posted on August 30, 2018 at 10:04 am. Cost is $165, $155 for community league members. Posted on August 29, 2018 at 9:57 am. 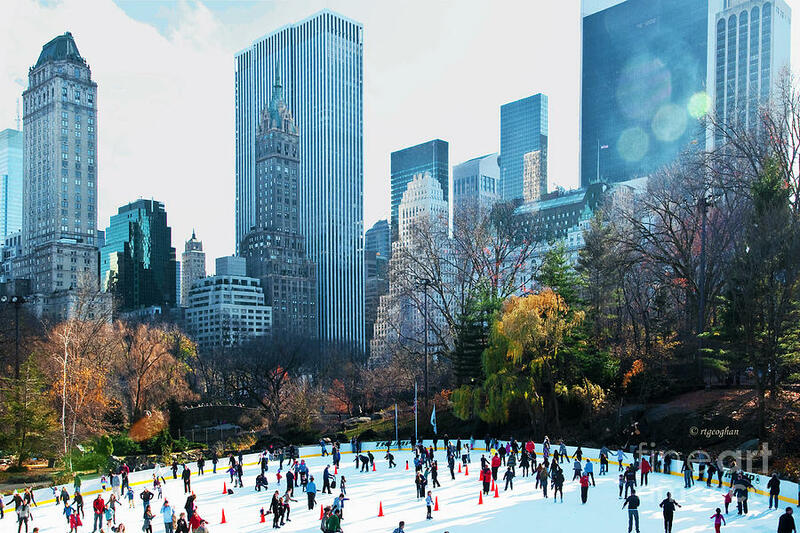 Are you social media savvy? Do you enjoy posting on Facebook and Twitter about things that are happening around you and in your neighbourhood? We are looking for someone to take charge of our social media pages, our community website, and the newsletter to keep the community informed on community events, news stories, and anything that might be of interest to Crestwood residents. If that someone is you, or if you have any questions about the volunteer role, please reach out to President@cclboard.ca.